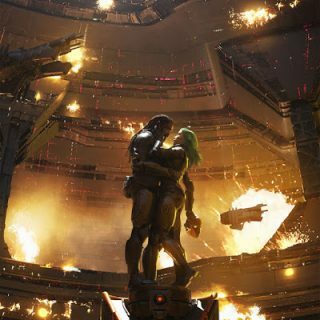 Coheed And Cambria : Vaxis- Act I: The Unheavenly Creatures album download | Has it Leaked? 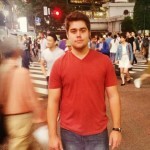 Follow up to Coheed and Cambria’s science fiction based story titled “The Amory Wars”. This is the first time the band has revisited the story though to be complete with their 2010 prequel record titled Year of the Black Rainbow. Earlier this year, the band signed a deal with Roadrunner Records to release this album. This is to be their 9th studio album since 2002s The Second Stage Turbine Blade. Pretty pumped, saw them play The Dark Sentencer for the first time! Sounds like a mix of Domino the Destitute and Welcome Home kind of… so I’m ready for the heavy! Getting some Good Apollo vibes from Unheavenly Creatures. I’m pretty excited for this. This album is going to be dope. Definitely giving me an in keeping/good Apollo vibe. 20 more days! Can’t wait to unbox my deluxe album. Me too mate, been a long few months of waiting for this boxset! Pumped! This needs to be in my possession like yesterday lol. So excited. Vinyl copy was sold in Europe. Hopefully we get an upload soon. People on the coheed reddit claim to have the album and others say that it is even on sale in local small stores. It shouldn’t be long now! People are literally buying this in record stores. So many people have their physical copies but nowhere to download or listen. I definitely won’t be getting my deluxe edition by Friday cos it hasn’t even shipped yet. Lame. I have had it since Wednesday morning. I’m on my fifth listen. It’s incredible. It most definitely has been leaked.